Most secure mobile wallet utilizes the hardware that's already in 1.6 billion phones and provides FIPS 140-2 based, military-grade security. 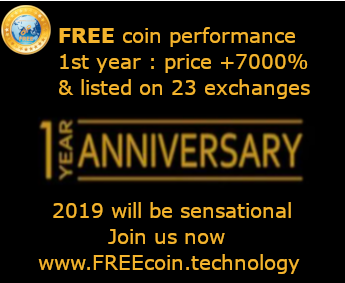 (San Francisco – March 21, 2019) Coin Stats, the cryptocurrency research and portfolio tracker with over $5 billion in crypto portfolio and 500,000 monthly active users, launched Coin Stats Secure Wallet, the world’s first guaranteed, secure, hardware-rooted digital wallet on March 21. This groundbreaking platform, developed with and powered by SignKeys, has been launched to complement the incredibly popular Coin Stats portfolio tracker app. It gives Coin Stats users the ability to track and make transactions directly in the app, rather than having to rely on an outside wallet or exchange. Based on military-grade security (FIPS 140-2), the wallet uses an ultra secure, specially licensed and hardware-based environment, already available on 1.6 billion existing smartphones. This level of security allows SignKeys and Coin Stats to provide a guarantee that no other wallet does. SignKeys provides a unique guarantee on the full value of crypto assets in a user’s wallet, up to 10 times the value of KEYS tokens that user holds. The minimum balance of $10 worth of KEYS tokens will protect $100 in other crypto assets including Bitcoin (BTC), Ethereum (ETH), Ripple (XRP) as well as more than 220 other altcoins, simultaneously. This in itself is an achievement, as most hardware wallets can only hold a handful of different types of tokens at the same time and require a dongle. The wallet includes numerous innovations beyond just security. For example, users will be able to privately and securely send crypto assets through existing messengers like WhatsApp. Atomic swaps – currently available between KEYS and BTC – will allow immediate peer-to-peer exchange. Coin Stats advisor Mark Mueller-Eberstein helped to facilitate this collaboration with SignKeys. Coin Stats and SignKeys will extend their B2B capabilities beyond the wallet with offerings that easily integrate to financial products and systems, replacing the need for costly custody solutions. The Coin Stats app is free to download from the Apple AppStore or Google Play. Coin Stats is one of the biggest cryptocurrency price and portfolio trackers on a market offering automatic portfolio tracking by connecting your wallets and exchange account. Currently Coin Stats supports over 4000 coins and 200 exchanges, providing detailed analytical access to your cryptocurrency portfolio. SignKeys is the first guaranteed, secure, hardware-rooted digital wallet that lives on your mobile phone. The SignKeys wallet supports more than 220 tokens, and guarantees crypto assets stored within at a 10:1 ratio based on the value of KEYS tokens owners hold. SignKeys mission is mass adoption, so companies can OEM/White Label SignKeys solutions rather than waste two years and take risks to build a proprietary solution. As of end January, 2019, the company has distributed more than $2 million worth of KEYS tokens in private placement. Founded in 2017 by Joseph Toh, from a long career helping traditional institutions adopt new technologies with executive roles at Credit Suisse and Accenture. The team has grown to 34 people spread across Asia, Europe and the United States. To learn more about SignKeys visit signkeys.com. The SignKeys Secure Wallet is currently available for download for iOS and Android..